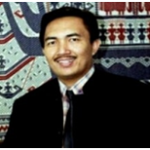 Senior Lecturer (Lektor Kepala), Department of Economics, Faculty of Economics and Management, Bogor Agricultural University (IPB) Indonesia. 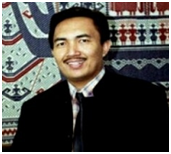 2010 – present Chairman Executive, Ec-Think Indonesia (Economics Think Tank), Corp.
September 2007 – present Senior Expert on budgeting analysis (BPK), Sekretariat Jendral DPR-RI. March 2001 – 2004 Head, Economic Recovery Research Unit, Faculty of Economic and Management, Bogor Agricultural University (ERRU-FEM-IPB). August-November 2001 Visiting research fellow, Institute of Southeast Asian Studies (ISEAS), Singapore. February – April 2001 Visiting Fellow, Department of Economics RSPAS, The Australian National University. June 1997 – June 2000 Research Assistant, Department of Economics RSPAS, The Australian National University. February 1994 – June 1996 Economist, Agricultural Japan Development Fund (AJDF). 2009 Effect of Biofuel on Agricultural Development, Food Security, Poverty and the Environment in Indonesia. Inflation Targeting in Indonesia: Trade-off and Strategy. Inter-CAFE Working Paper Series no 25. International Center for Applied Finance and Econonomics, Bogor Agricultural University. Open-Economy Inflation Targeting: Commitment vs Discretion. Inter-CAFE Working Paper Series no 22. International Center for Applied Finance and Econonomics, Bogor Agricultural University. Which Inflation Should We Target?, Inter-CAFE Working Paper Series no 23. International Center for Applied Finance and Econonomics, Bogor Agricultural University. Inflation Targeting Vs Output Targeting in a Small Open Economy. Inter-CAFE Working Paper Series no 24. International Center for Applied Finance and Econonomics, Bogor Agricultural University. “Exchange Rate Stabilization: a non conventional approach”, August 2005, Inter-CAFE Working Paper Series no 17. International Center for Applied Finance and Econonomics, Bogor Agricultural University. “The Origins of Banking Crisis in Indonesia”, October 2001, ISEAS seminar paper, Institute of Southeast Asian Studies, Singapore. “Bank Failures During The Indonesian Crisis: Imprudent Banking or Bad Luck?”, (2001), Working Paper in Trade and Development, Division of Economics, Asia Pacific School of Economic and Management, The Australian National University. “Trade Performance and Adjustment to the Crisis in Indonesia”, (2001). Working Paper in Trade and Development, Division of Economics, Asia Pacific School of Economic and Management, The Australian National University. “Capital Flows, Credit Transmissions, and Currency Crisis in South East Asia” (1999), CIES Discussion Paper no. 99/25, Center of International Economic Studies, Adelaide University. 2006 The Determinants of Trade Balance and Adjustment to The Crisis in Indonesia in Foreign Institutional Investments: Perspectives and Experiences. Edited By Vandana Shajan. 1st Edition. Published By the ICFAI University, printed in India. “How Significant and Effective Has Foreign Aid to Indonesia Been?”, ASEAN Economic Bulletin, Vol.22, 2, 2005, pp. 186-216 (with A. Chowdhury). “The Collapse of the Thai Baht and A Simple ‘New” Second Generation Currency Crisis Model”, forthcoming in Economia Internazionale (International Economics) (with R. Rajan). “Government Bailouts and Monetary Disequilibrium: Common Fundamentals in the Mexican and East Asian Currency Crisis” (2000), North American Journal of Economic and Finance (11). “Testing Purchasing Power Parity in a Multivariate Cointegrating Framework” (1995), Applied Economics, vol. 27, pp. 891-899. “Detecting the Sources of Inflation in the Australian Economy: an Application of Macroeconomic Cointegration Model”, (1995), Australian Economic Papers, 34(65), pp. 1-18.